A Pacific Northwest girl with a huge heart and a little home, Joanna Hawley is a Seattle-based blogger, stylist, digital influencer, wiener dog lover, and tiny-home hype girl. With a degree in Industrial Design and experience as a product designer and trend scout for companies like Nordstrom and Anthropologie, Joanna has always had an eye for beautiful things. Along with regular styling gigs, Joanna runs jojotastic.com to show off her appreciation for all things DIY, entertaining, interior design, style, and food—in a modern yet casual type of way. When Joanna isn’t styling, shooting, or writing, you can find her revamping her #mytinybungalow, on Pinterest, or outside with her BFF roommates (aka said wiener dogs and her mountain man fiancé, Sean). 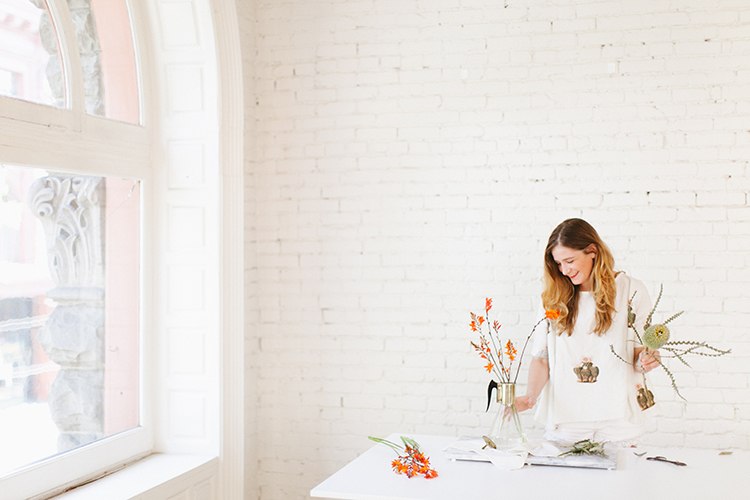 Hannah Cross of Homemade Banana — our DIY guru. Sarah Abare of The Stemmery — our Floral soothsayer. Taylor Harbin of All Purpose Flour Child — our recipe rock star. Are you interested in advertising my product? I am open to advertising products that feel appropriate for my audience and brand. Please shoot me an email to discuss further: hello(at)jojotastic.com. While I can’t guarantee coverage, I am open to testing out new products and sharing with my audience if it’s a good fit. Please email for a mailing address. If a company has sent me a product as a gift and I write about it, I make note with “c/o” (courtesy of) at the bottom of the post. Please note that I only endorse products I truly love. Thank you for supporting the brands that keep Jojotastic going! Please note that I use affiliate links at times. This means that if you click on a link to a product and purchase that product, I may receive a commission based on your purchase. I only feature products that truly inspire me and am not swayed by advertisers or sponsors. How did you get started? Can I have advice on how to get started? I’d love to be able to give coaching, but urge you to check out my Business of Being Creative series before reaching out (especially this post which is the story of my career path and how I got started). I’m visiting Seattle, what should I do while I’m there? I’ve shared a lot of Seattle resources on the blog, which can be seen here. I also curated a Design*Sponge guide to 24 hours in Seattle which could help you, too. You can find that here. There resources are a great place to start! Yes! Please email my management team Jabber Haus for inquiries — lauren@jabberhaus.com. Do you offer styling and photography services? Yes! Please email hello@jojotastic.com for inquiries + here’s my portfolio. Most of the time, I use my iPhone 7+. I also shoot with a Canon Mark III using either a 50 mm or 24-70 mm zoom lens. I use VSCO and Snapseed to edit my Instagram images and Lightroom to edit the images you see here on the blog. At this time, I am not looking for contributors, but if that changes, I will certainly advertise! Photography by Meghan Klein— see more of this shoot here!